"Now is the time for the Taliban to think about whether they want to continue the war or come for peace," Ghani said as he signed the deal at the presidential palace in Kabul. 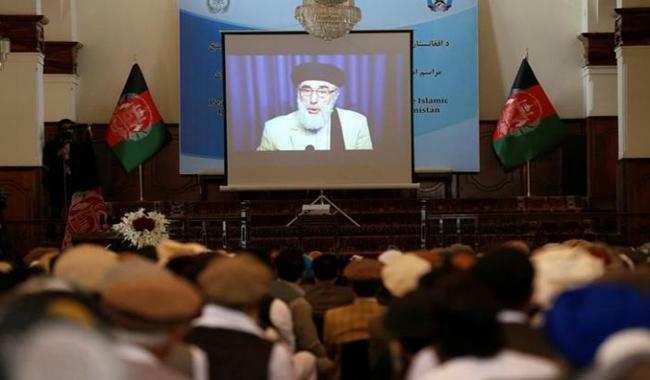 Hekmatyar offered his congratulations to the government and "all those Afghans who want peace and stability in the region" as he signed a copy of the deal via video link. "I pray that our country be independent and sovereign, and our innocent and war-weary nation end the fighting and ongoing insecurity, and that unity prevails," he said. Human Rights Watch warned Hekmatyar´s return would compound a "culture of impunity" in Afghanistan. The government took the opportunity last week to renew its offer for peace talks to the Taliban, who have persistently refused to engage in negotiations as they ramp up their nationwide offensive against the Western-backed regime.